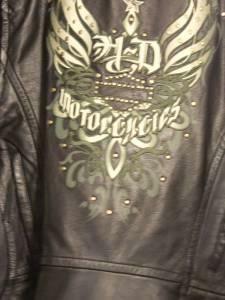 Harley Davidson Jacket womens size large beautiful cream and black. Like new condition No marks or tears Comes with extra buttons. 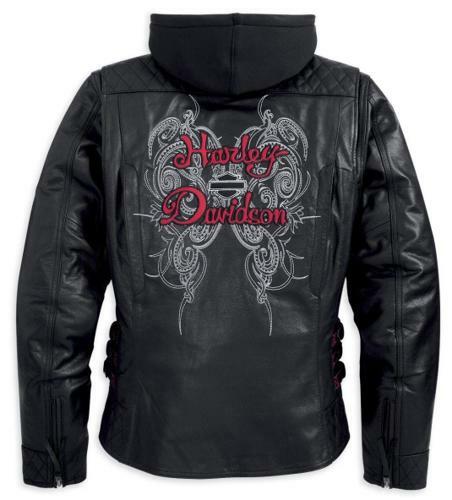 Very nice ladies leather jacket. 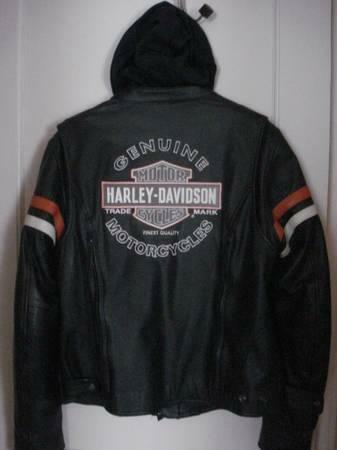 Authentic Harley Davidson. Beautiful detail. No tears of any kind. The silver buckles could use a shining is the only defect. Size small.